Soon you'll be living Blade Runner and The Fifth Element in real life as Uber Elevate has taken its flying taxi project to the next step with NASA. NASA will be developing air control software for Uber to manage its fleet of flying cars. Uber aims to start testing its flying taxi service across Los Angeles by 2020. The concept of flying cars, popularized by TV series like The Jetsons, and cult movies like Back to the Future, Blade Runner, and The Fifth Element, could well become a reality in the years to come. Among the many large transport and tech companies, small start-ups, and independent inventors that are working on flying car projects, Uber has one of the most aggressive approaches and timelines. We did post about it back in the day, and you can read about that here. And now the ride-hailing company has teamed up with NASA to benefit from the agency’s long expertise and get its Uber Elevate project a big step further. Since the 1950’s, NASA has been conducting the Space Act Agreement program with different domestic and international contractors to advance various programs. In January 2017, NASA’s Ames Research Center for Unmanned Aircraft Systems Traffic Management signed a Space Act Agreement (SAA2-403231) with Uber Technologies, Inc., which will expire in January 2022. Within the $376,000 dollar four-year agreement, NASA’s UTM will develop a low-altitude autonomous traffic management system. NASA has other partners interested in its low altitude traffic management systems, but this is Uber’s first partnership with a U.S. federal agency. The partnership was announced by Uber at the Web Summit 2017 in Lisbon, Portugal, which we posted about in detail here. Los Angeles could soon get closer to its fictitious 2019 image given by Ridley Scott in his classic 1982 film Blade Runner, with multilayered air traffic levels busy with all sorts of flying vehicles. Uber also said that the city of Los Angeles, after the two other pilot cities already announced (Dallas Fort-Worth in Texas, and Dubai), will serve as a test city for Uber Elevate, formerly UberAir. The first demo flights of Uber’s VTOL (Vertical takeoff and landing) four-passenger aircraft are scheduled for 2020 and the transition to the second (commercial) phase in 2023. Five years later, LA will be hosting the 2028 Summer Olympics, which is hopefully enough time for Uber’s new flying taxi-hailing service to mature. As of now, it’s unclear whether the flights will be manned or not, but most likely Uber’s VTOLs will have a pilot at first. Technology and regulations permitting, however, they will become fully automated. 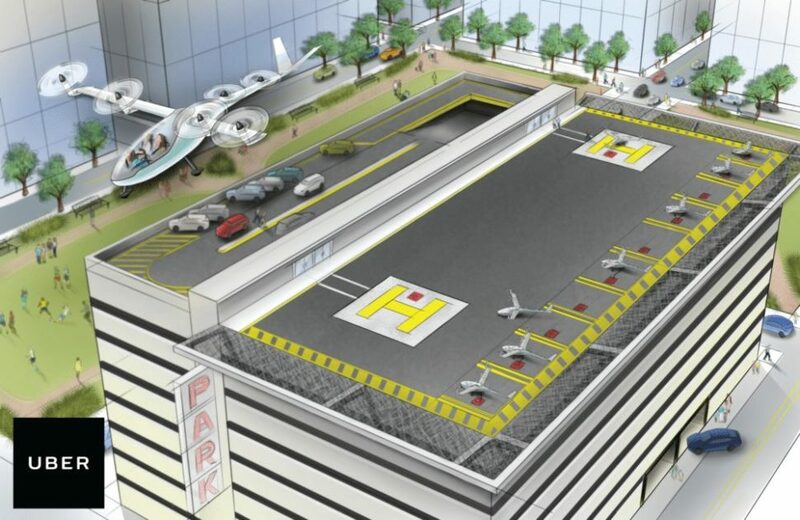 Uber will not build its own flying taxis, having entrusted the development of VTOL aircraft to five different manufacturers it has partnered with. What would need to happen for you to take a ride in an autonomous flying taxi? do you surely have to start wtith Dubai? such small quantity, sounds dangerous to send engineers to the desert.